If you love all the gorgeous and brilliant things, this screensaver is definitely for you! 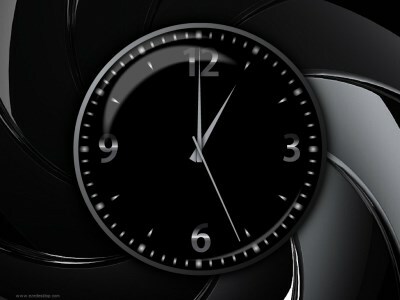 Dark Style Screensaver is an analog dial with a nice gloss on a dark background. You will always know exact time with our free clock screensaver. Ambient people will certainly notice your screen saver! Download and install it absolutely free. Just a couple of seconds and Dark Style screensaver is on your computer. Ten red, green and blue balls move around your screen, bouncing off each other. This screensaver helps you to relax. A lot of users thank us for this wonderful and very simple to usa screensaver. Just download it now for free! Venus is the second planet from the Sun and it was long thought of as the Earth\'s twin. Planet Venus 3D Screensaver is a great 3D model of this cloud-shrouded planet that will turn your desktop into the eyepiece of a powerful telescope. A new free screensaver, Three Camels, from a collection of new free screensavers from http://www.newfreescreensavers.com. Free screensavers. No spyware, no adware, virus-free. It's safe to install and run. It's raining emoji in this animated screensaver from Screensavers Planet, a reputable source for free screensavers. While you're away from the computer, emoji come falling down from the top of the screen against a blue background. Jupiter - enormous planet. A storming gas giant surrounded by many moons. A fascinating show! It's difficult to reflect its beauty by computer simulation, but using modern 3D technologies we tried to gain maximum realism in this animation.